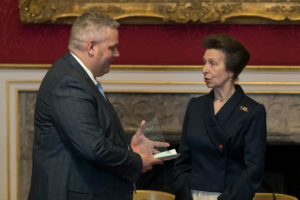 21 March 2019, St James’s Palace, London: The Butler Trust’s 34th Annual Award Ceremony, hosted by HRH The Princess Royal, took place on 21 March, in the State Rooms at St James’s Palace. The Princess presented 10 Awards and 20 Commendations to a total of 30 staff members and volunteers from prison and community justice settings throughout the UK, and among the 200 guests from across the criminal justice sector were: Secretary of State for Justice, David Gauke; Minister for Prisons and Probation, Rory Stewart; Chief Executive of HMPPS, Michael Spurr; Head of the Scottish Prison Service, Colin McConnell; and the Head of the Youth Justice Board, Colin Allars. This year’s Princess Royal’s Prize for Outstanding Achievement (the highest Award) went to Senior Governor, David Savage, for the outstanding levels of passion, dedication and courage he has brought to his work at HMP Maghaberry on behalf of both the Northern Ireland Prison Service and the wider community. His impact on the prison has been genuinely transformational. 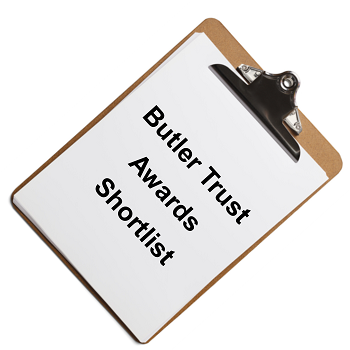 After a summer spent reviewing and rating the 350+ nominations received for this year’s Award Scheme, our volunteer Sifting Panel met at the end of September to agree the shortlist to go through to the final stage of judging for the 2018-19 Butler Trust Awards. The standard was as high as ever and the decision-making as difficult as always – but after much deliberation, the Sifting Panel agreed to put through a final shortlist of 40 nominations.